We have attempted to cover as much as possible in our Frequently Asked Questions. If you have a question which is not covered below, we have an easy solution for you: Please contact us! You must be a native English speaker (hold a passport from one of the following countries: USA, Canada, UK, Australia, South Africa or New Zealand). Possess a full university degree from an accredited institution (The length may vary from country to country, ie. 3 or 4 year degrees are both fine). Have a TEFL certificate or be willing to get TEFL certified. Most of our positions require teachers to be TEFL certified. Schools give preference to teachers with a 120-hour certificate or its equivalent. Additionally, we expect a high level of professionalism and dedication from all our teachers. One of our mottos here is matching great teachers with great schools. We work hard to make sure you will be placed in an excellent situation. Likewise, we make sure we recruit people with great attitudes and work ethic. At Reach To Teach, we are looking for people with an exceptional sense of adventure and curiosity. We are looking for someone who realizes there is so much to learn and experience in this world. R2T teachers come from any and all backgrounds. However they all share one overriding trait: A thirst for living life to its fullest. They are creative, open-minded, caring, responsible, adventurous and generally just very interesting people! I don't have any teaching experience! Does that matter? 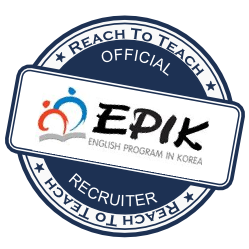 You don’t need any teaching experience to teach with our Georgia and South Korea programs. The ESL markets in China and Taiwan, however, tend to lean towards taking on experienced teachers. In China, you must have two years of work experience post-graduation. Out of those two years, you must have at least a year of formal teaching experience. You also need a TEFL or CELTA certification for most schools in China. In Taiwan, our schools generally want teachers with teaching experience and/or a TEFL. It’s not impossible to find a position without experience, but having a TEFL or CELTA will definitely give you an edge over the rest of the competition. Will my school provide me with teaching materials? Yes, your school should provide you with a certain amount of teaching materials and lesson plans. However, there are times when you will need to use your imagination and creativity to develop your own lesson plans. Remember, you can also check this site or contact us for ideas! What time of the year do you recruit teachers? We recruit teachers throughout the year, but our primary starting dates are May- September. Typically, our teachers arrive 4-5 days prior to their start date. If you are already in the country in which you want to work, we might have positions available. Check with us for vacancies. The first step is to fill out our application form. Subsequent to your filling out the application, we will contact you. Does my country of origin matter? Yes. You must be a native English speaker from the following countries: USA, Canada, UK, Australia, South Africa and New Zealand. This is NOT our policy. This is the policy of the government of the countries in which we work. Where do you conduct your interviews? The majority of our interviews take place over Skype. Our interviews are extensive and quite detailed. It is a good idea to mentally prepare yourself as you would for any other job interview. Do I need a TEFL or other teaching certification? Yes. The schools and governments that we work with in China, South Korea, Taiwan and Thailand all require teachers to be TEFL certified. We are still accepting a few non-TEFL qualified teachers with teaching experience for a limited number of positions in Taiwan, but the majority of our positions in Taiwan also require teachers to have at least a 100-hour TEFL, preferably classroom based. We have found that most of our client schools prefer 120+hour TEFL certificates and we recommend a number of these programs on the Reach To Teach TEFL page. Keep an eye out on that page for special discounts that we have arranged for our teachers! After we receive your application, we will review its contents and contact you. If you meet our application criteria, we will arrange a phone interview with you. After the phone interview, we will contact you to let you know if you have been accepted. After that we will find a school which meets your requests! Generally, the entire process takes 30 days. However, many people set foot on the country of their choosing, in a shorter period of time. Its entirely up to you, your interests and requests. Can I apply with a friend or significant other? Yes, we accept applications from friends and couples, however we will treat your applications separately. It has become increasingly difficult for us to place couples and friends in South Korea and Taiwan. If you’ve got your hearts set on teaching together in the same city, your best option is our program in China. What if I haven't graduated yet? If you expect to graduate in the next six months, why wait!? If you are thinking about teaching abroad, apply now. This will give you the time you need to prepare and to carefully consider all your options. We can’t place you until we have a copy of your actual degree, but you can begin the process anytime. I tried to submit my application but it isn’t working. What am I doing wrong? Make sure you completed all required fields and that none of the documents you want to upload exceed 500MB. Also, when filling out the application be sure to fill in the entire application and make sure you are using the correct format when filling in dates. What are you looking for in a cover letter? Your cover letter does not need to be long, but it should suitably express your interest in teaching in Asia and the reasons you feel you are the right person for the job. Who should I make my cover letter out to? I’d like to update my application. Who do I contact? Please send any updated information or documents to info@reachtoteachrecruiting.com and please remember to write your name country of choice so we can locate your application. We will then update your application for you. ITTT provides core, specialized, and advanced TESOL courses in an online format. Whether you are looking for a gap-year experience or a career in TESOL, ITTT has the course that is right for you. Reach to Teach teachers get 10% OFF on all ITTT courses. You must use the link above in order to receive the 10% discount. 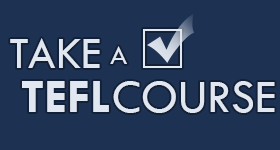 If you don't have a TEFL certificate yet, don't worry! We have a thorough guide that explains everything you need to know about getting a TEFL, TESOL, or CELTA certificate, among others. Have a look at our TEFL Directory for more information. Saying Goodbyes – Goodbye Korea!